Sunday service withdrawn and diverted in East Finchley via Aylmer Road and The Bishops Avenue instead of direct Great North Road to part compensate for the withdrawal of Route 58. HENDON CENTRAL STATION - Archway - Holloway Road - Caledonian Road - Kings Cross - Farringdon Road - Charterhouse Street - Holborn Circus - St Andrew Street - Shoe Lane - FARRINGDON STREET Stonecutter Street. Saturday afternoons withdrawn between Kings Cross and Farringdon Street and further withdrawn evenings between Archway and Kings Cross. Saturday withdrawn between Kings Cross and Farringdon Street. 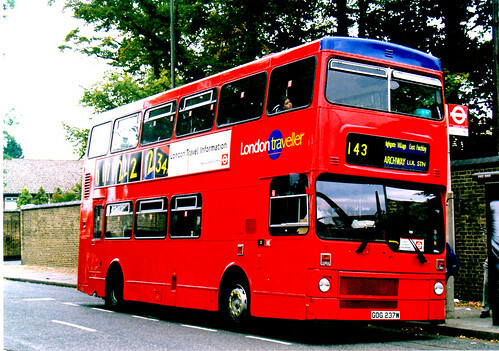 Converted to single deck OPO and withdrawn between Archway and Farringdon Street. 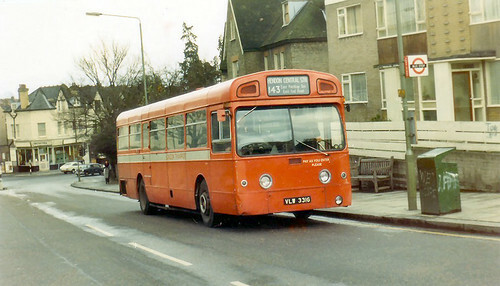 Reverted to direct routeing via Great North Road instead of The Bishops Avenue. 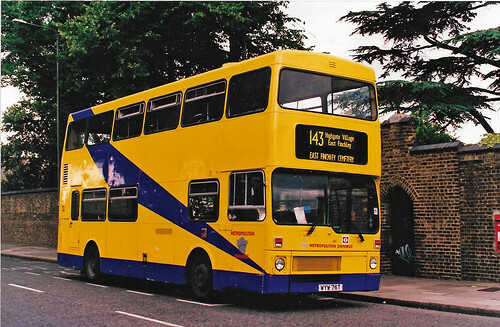 Sunday service re-introduced to compensate for the withdrawn section of Route 133. Re-routed between Archway and East Finchley via Highgate Village. 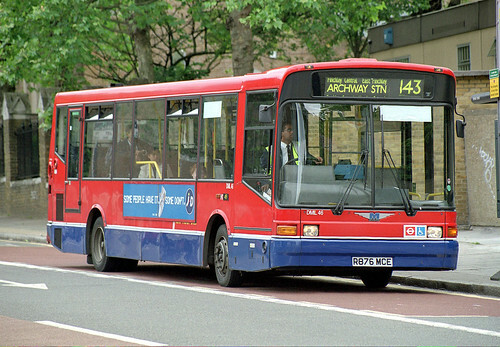 Sunday service withdrawn and MS evenings between East Finchley and Archway. Sunday afternoons re-introduced between Hendon Central and East Finchley. Hendon garage closure - allocation transferred to Holloway (HT). Sunday service withdrawn replaced by 271. Holloway (HT) allocation moved to Edgware (EW). Converted to minibus operation and diverted in Finchley as shown. 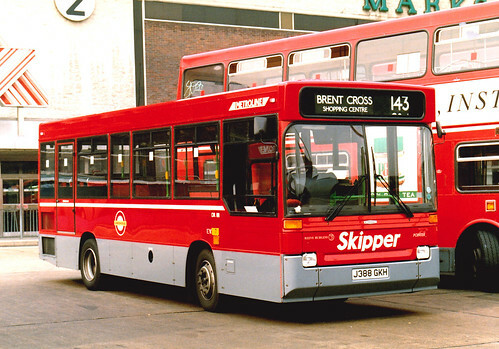 Sunday shopping hours extended from Hendon Central to Brent Cross. 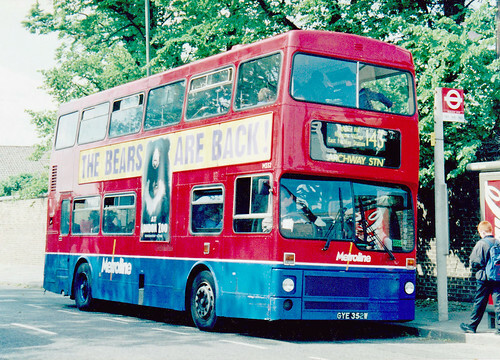 Double deck schoolday journeys introduced between Archway and East Finchley Cemetry. Start of new contract with single deck low floor buses. 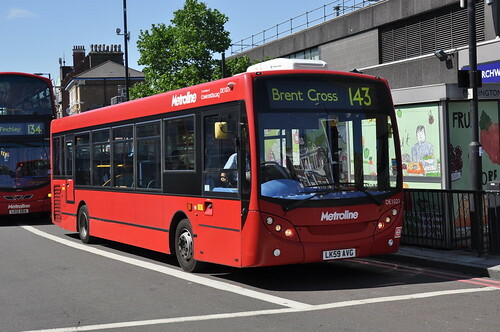 Early am service extended from Hendon Central to Brent Cross. 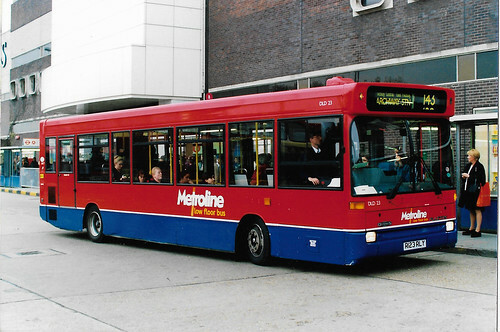 Schoolday dd journeys transferred from London Traveller to Metropolitan operating from a base in Harlesden. 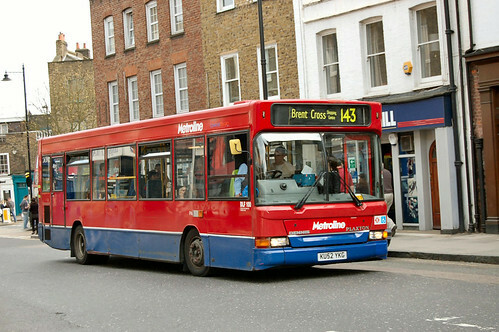 Transferred within Metroline from Holloway (HT) to Cricklewood (W) . 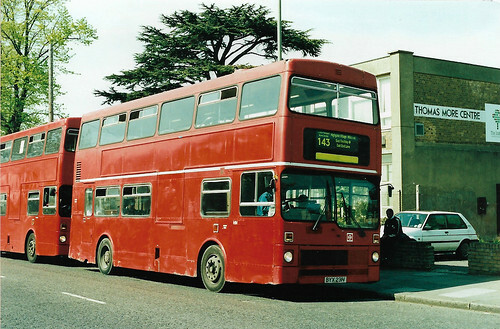 This was a chain reaction with the 143 and C11 moved to Cricklewood to make room for the 24. 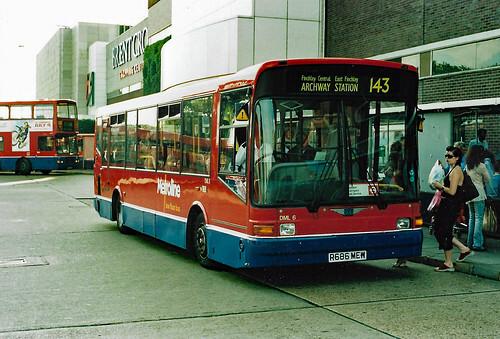 The 205 was moved from Cricklewood to a new base at Perivale (PV) . The hail and ride section in Finchley along Long Lane and Squires Lane converted to fixed stop.